The show’s grid layout at One Herald Plaza in Miami was a sea change from its straight-line formation on Collins Avenue. Reactions to the first Miami Yacht Show were mixed, with some exhibitors praising the new location and others criticizing what they perceived as first-year shortcomings. Attendance at One Herald Plaza in Miami was up 7.3 percent compared with the show’s final year on Collins Avenue in Miami Beach, according to organizer Informa. The logistics for setting up a show that big were not easy, according to Andrew Doole, president of Informa Global Exhibitions, U.S. Boat Shows. Beyond having to install 4.3 miles of floating docks, along with infrastructure for electricity and water access (for fire prevention), Informa had to deal with city, state and federal permits — and getting some came down to the wire. Informa announced last year that it was moving the show after 30 years of it being held on Collins Avenue. “Normally, a move this big is a two-year process, but we were able to get it done in a year,” Doole says. Informa wanted improved amenities, including easy parking, and a more walkable grid structure, as opposed to the 2-mile span along Collins Avenue. 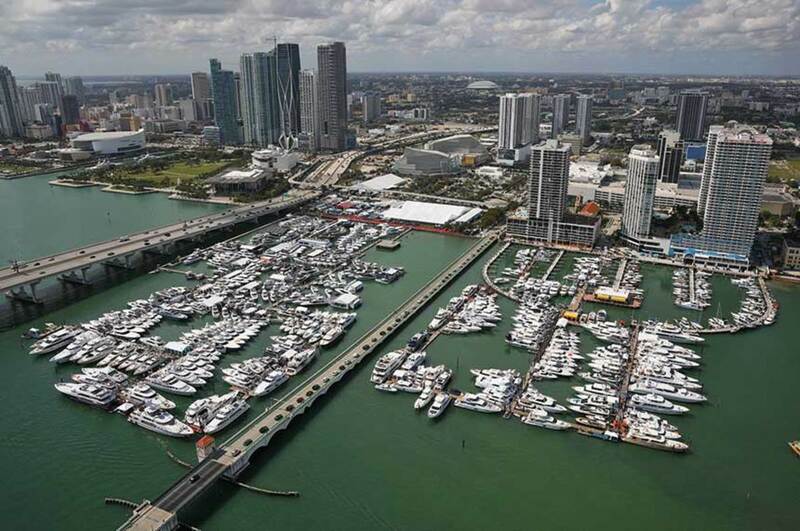 The primary reason for the move, Doole says, was the show’s “symbiotic” relationship with the Progressive Insurance Miami International Boat Show. 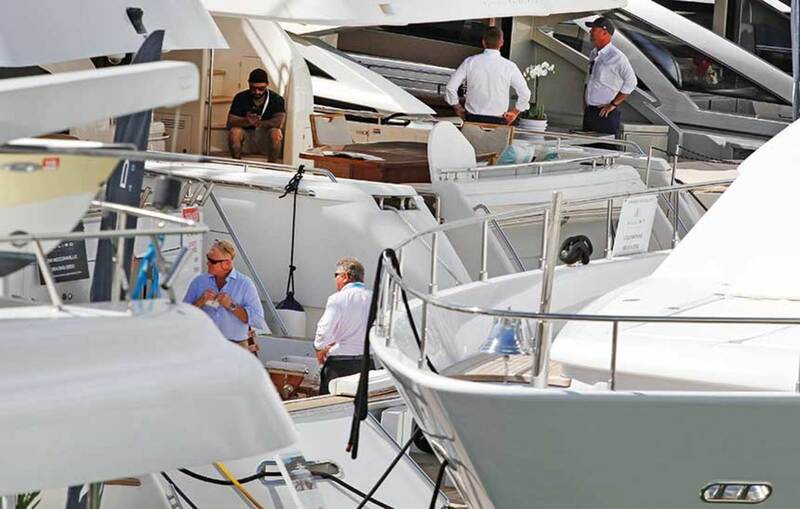 The Miami International Boat Show, which moved to its current location on Virginia Key in 2016, had its own challenges, including a three-year lawsuit by the village of Key Biscayne and similar permitting problems. This year, the two shows shared a marketing budget to promote both events. Other exhibitors were worried on opening day when show traffic looked much lighter than a typical first day on Collins Avenue. Azimut sold 20 boats across multiple size ranges — 18 at the Miami Yacht Show and two smaller models at the Miami International Boat Show — compared with 16 boats sold last year. At the same time, the company lost electrical power to its boats on the Miami Yacht Show’s final day. “It was a good show from a sales standpoint, but there were a lot of issues Informa needs to work through,” says Ferrante. MarineMax, which represented the Azimut and Galeon brands at the Miami Yacht Show, spent months preparing for the new event. 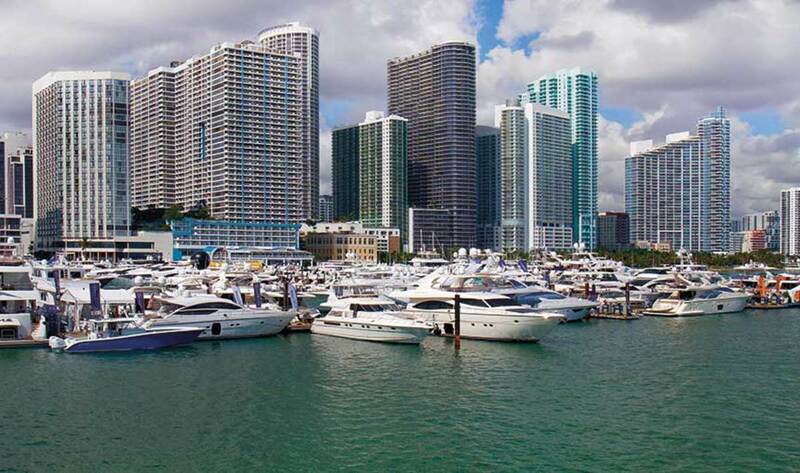 Improved access to parking, commuter rails and the Miami International Boat Show were key reasons for the move into Miami. Federico Martini, president of Sirena Yachts, voiced a similar complaint. “We were very satisfied with the results after Miami, but it had nothing to do with the show. Our U.S. dealers brought in their clients, and we made our sales that way. We didn’t get any new, unexpected visitors to our booth, like we would’ve every other year at Miami Beach,” he said. Viking, which also had space at the NMMA show, sold nine yachts and has “deals in the works” on another 10, according to the statement. The only suggestion Viking had for improvement next year was to have a water shuttle between the two shows. The Miami Yacht Show’s main docks on the south side of the Venetian Causeway had a grid structure, with three long corridors on the front dock that led to other new-boat builders and back to the brokerage section. Martini says the layout did not entice visitors to wander off the main corridors to displays like his; instead many showgoers stayed on the central corridor, next to the Azimut display. Martini prefers the straight line of exhibitors on Collins Avenue, where visitors would walk the length of the show to see the smaller yacht builders. Builders complained of slow traffic on the first two days of the show, but weekend attendance increased. The north side of the new show was smaller than the south side and involed crossing the Venetian Causeway. Hank Compton, managing director of Grand Banks Yachts, says the location did not bother him or his customers. This year’s Miami Yacht Show also had a new component: a 67,000-square-foot display of 200 equipment and service providers in a building on land. Foot traffic over the weekend was strong, according to some exhibitors. Over at SuperYacht Miami on Watson Island, where the Miami Yacht Show’s larger yachts were moored, Grant Henderson of Baglietto said he was “very happy” with the show. Despite the Miami Yacht Show’s uneven first year, most exhibitors are planning for next year’s event.